Welcome to another Wildcard Wednesday! 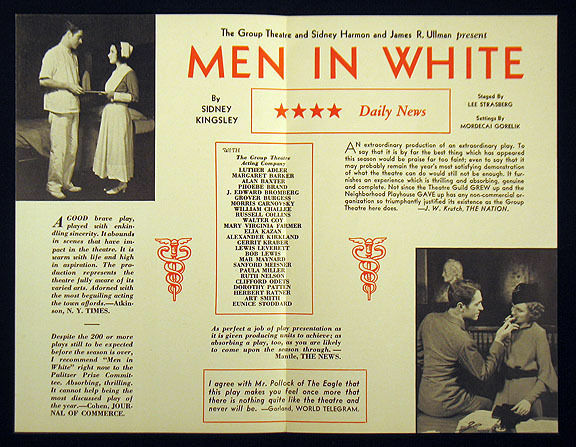 Before Shonda Rhimes and Michael Crichton, there was Sidney Kingsley, the playwright who won a Pulitzer Prize for his 1933 drama Men In White. 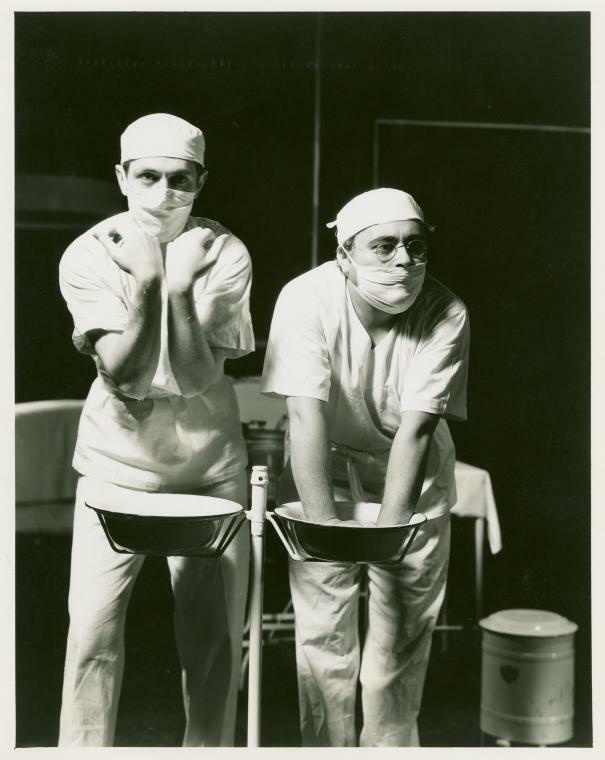 Produced by the infamous Group Theater, Men In White tells the story of a medical intern caught between his work and his fiancé… and the student nurse who suffers from a septic abortion following their brief affair. The original award winning production was directed by Lee Strasberg and featured the likes of Luther Adler, Alexander Kirkland, Sanford Meisner (as the attending who operates on the nurse), Clifford Odets, and Elia Kazan in a bit role. Essentially a precursor to the plentiful “medical drama” genre of television, I thought I’d tell you a little bit about the play, and share some of my thoughts. Set entirely in the hospital, the plot concerns Dr. Ferguson, a promising intern who has plans to study with the world renowned Dr. Hochberg, the hospital’s chief of surgery. Unfortunately, Ferguson’s wealthy fiancé, Laura Hudson, daughter of John Hudson, one of the hospital’s patients, does not favor the idea of playing second fiddle to Dr. Hochberg and her future husband’s work. When attending Dr. Gordon orders Ferguson to stay in on a case for the second night in a row, Laura tells Ferguson that he will eventually have to make a choice. 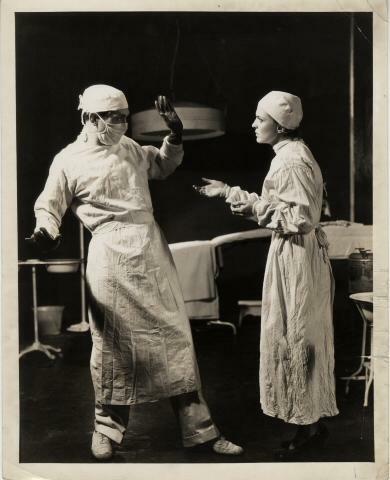 After standing up to the blustery Dr. Cunningham regarding the patient care of a young child, Dr. Ferguson meets a young student nurse, Barbara Dennin, to whom he offers some of his notes for study. Meanwhile, the middle aged Dr. Levine learns that his wife has tuberculosis, and faces the fact that he’ll have to step back and go into private practice, dedicating most of his time to her. Later, Dr. Ferguson calls Laura to tell her that he will be able to see her tonight after all, but she blows him off. When Barbara comes down to get the notes, Dr. Ferguson kisses her. The act ends as Ferguson exists and Barbara awaits his return. The second act picks up three months later as the board of trustees and board of doctors (consisting of Gordon, Hochberg, Wren, and Larrow) decide that the best way to eradicate their deficit is to add John Hudson on as a new trustee. And the best way to do that, they decide, against Hochberg’s wishes, is to promise his future son-in-law an associateship that will allow him to skip most of his studying. The board is insistent and Hochberg finally consents, believing that Ferguson will not accept the offer. He is surprised when Ferguson does agree to the offer, which will eliminate his chances to study with Hochberg (about which Laura is pleased). Following their wedding rehearsal, Hochberg confronts the pair to see if what he’d heard was true and to see if Ferguson will assist in a procedure on Nurse Barbara Dennin, who’s suffering from a septic abortion. Following a mixup regarding patient care between Ferguson and another intern, Dr. Michaelson, Dr. Hochberg decides that Laura should scrub in and see her fiancé in action — and know what exactly she’s making him give up. Dr. Ferguson learns from Nurse Mary that the child was indeed his, and he is devastated. As he goes in to do the procedure with Dr. Wren, Dr. Hochberg escorts in Laura. But when the gravely ill Barbara comes in and tells Dr. Ferguson that she loves him, Laura realizes what has happened and rushes out. 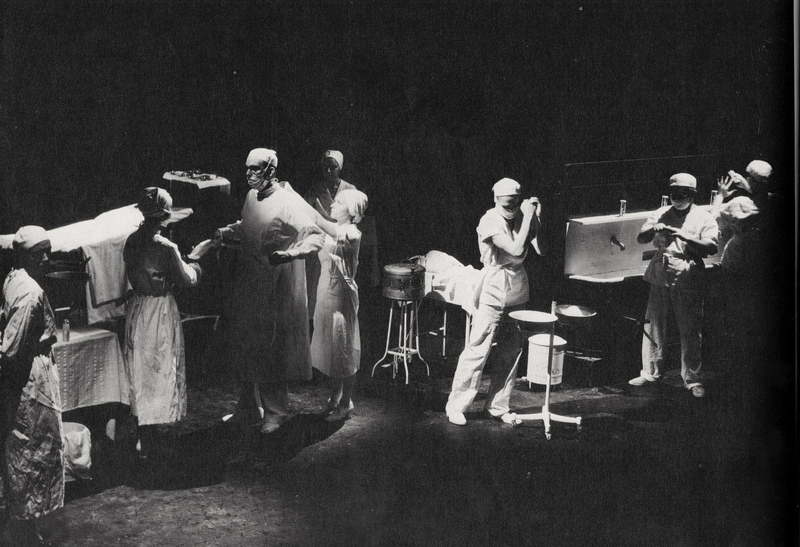 The act ends on a tableau of the surgeons operating in the white light. The third act picks up the next morning as a shocked Ferguson tells Dr. Hochberg that now that Laura is through with him, he’s going to do the right thing and marry Barbara, which means that he’ll be going into private practice and once again eschewing his studies with Hochberg. Dr. Hochberg is furious at this notion, and tells Ferguson about how awful Dr. Levine is doing trying to make it in private practice. Hochberg brings in Laura, and she and Dr. Ferguson have it out — she’s still furious with him, and though he’s insistent on marrying Barbara, they both reveal that they still love each other. Hochberg comes in to announce that Barbara has died, and though Laura wants to work things out with Ferguson, he decides to stay and continue his work with Hochberg. As you might have guessed, the play is loaded with tropes that we’ve come to associate with medical dramas: the clash between one’s work and one’s love interest, affairs between two medical professionals who bond over a case, interns that stand up to the established doctors, a doctor whose spouse gets ill, nurses who become the patients, older surgeons who over-sing the praises of modern medicine. What is now commonplace in the genre must have been fresh and exciting to audience members of 1933. 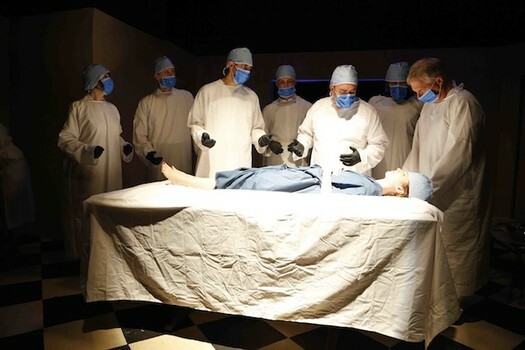 Now, with the genre’s overexposure, it’s difficult during the memorable tableau operating sequence not to imagine some kind of Grey’s Anatomy-esque song playing in the background. But we can’t solely give credit to this play for defining the course taken by future hospital dramas. (After all, there IS a limit to the kind of drama that can occur within the confines of this genre, so there’s no evidence that can support Men In White‘s direct influence.) We can, however, appreciate the opportunity that this play provides us to look at some of the genre’s origins. Interestingly, the abortion subplot involving the student nurse who has a one-night-stand with Intern Ferguson isn’t treated as an issue of morality. Rather, the initial reveal is almost a throwaway (unlike what we would see in Grey’s), and the whole purpose of the story instead seems merely a device to get Ferguson to honor his commitment to medicine over his commitment to love. Basically, though the mere inclusion of abortion is politicized in nature, the plot point’s function in the story is exactly that — functional. It’s actually pretty refreshing this way, as we don’t have to worry about the baggage that this hot-button issue brings, and we can focus on the drama it presents for this core group of characters. 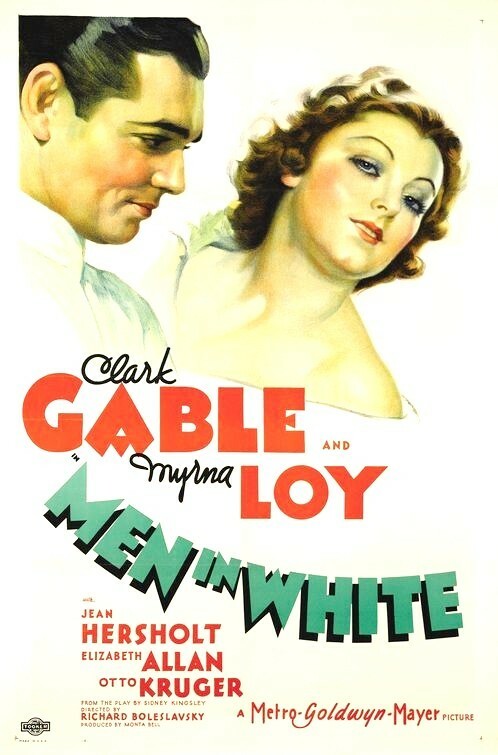 Naturally, when Men In White was adapted as a Pre-Code film starring Clark Gable and Myrna Loy, the abortion was downplayed — though Barbara’s medical predicament is made implicitly clear. It’s silly that the film can’t be as explicit as the play, but given the nature of the source material, the downplaying of the word actually has little effect on the crux of the drama. What works less for me is how the script seems to paint Hochberg as the good guy — the champion of modern medicine, only interested in helping and saving others — while Laura is presented as the spoiled love interest who is standing in the way of Ferguson and greatness. I suppose the playing of these characters could make them more complex, but I couldn’t help but wish that these two — in particular — were afforded more depth and dimensions. For instance, what if the play established Hochberg as ambitious and ruthless, making his interest in Ferguson more personal rather than altruistic? As for Laura, it comes down to making the writing more sympathetic — giving more voice to her point-of-view, but I suspect most of her sympathy would come in the playing. (Loy was ideal for this role, I think.) And while the abortion stuff isn’t heavy-handed, some of Hochy’s preaching does venture into that territory, and I think this, coupled with the story’s (now) lack of novelty, has contributed to the piece’s seldom revivability. That’s not to say this one hasn’t been revived. As a Pulitzer Prize winner, this play has been seen more often that the other two plays I’ve covered here on Wildcard Wednesdays — Our Betters (1917) and Nice People (1921). 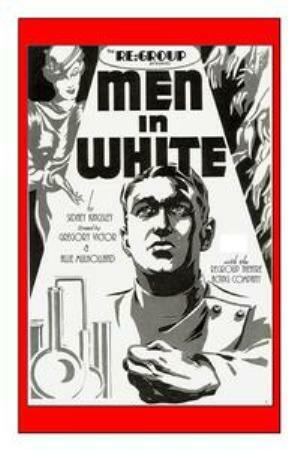 In addition to the screen adaptation, an abridged version of Men In White has been performed on the radio several times. (Click here for a 1947 adaptation and here for a 1953 adaptation.) The piece has also been seen Off-Broadway on occasion, with the latest being last November. I would like to see this play back on Broadway with fabulous actors and tiny tweaks to the script — retaining the 1933 setting — but making sure the character’s motivations read a bit more complex. 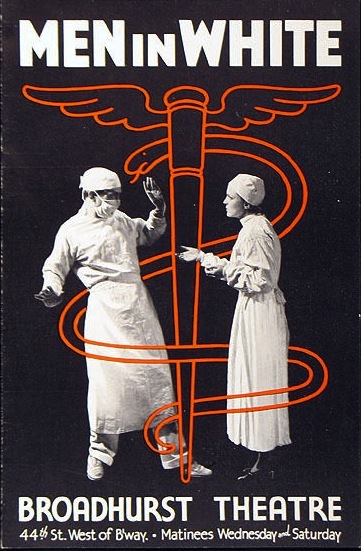 While the story may be commonplace now, the opportunity for genuine drama is always welcome, and with a built-in Grey’s-and-E.R.-loving-audience, perhaps this piece will be as appreciated now as it was in 1933.